Earlier this year, Spike Chunsoft announced Steins;Gate Elite, a remake of sorts of the classic visual novel, which uses fully animated scenes from the anime, and original animation for scenes not covered in the anime as well. It was originally supposed to release in 2018, but was delayed to 2019. Today, while previously announced for the Japanese release, Spike Chunsoft has also confirmed the Steins;Gate Elite bonus content in the west, which changes depending on the platform. 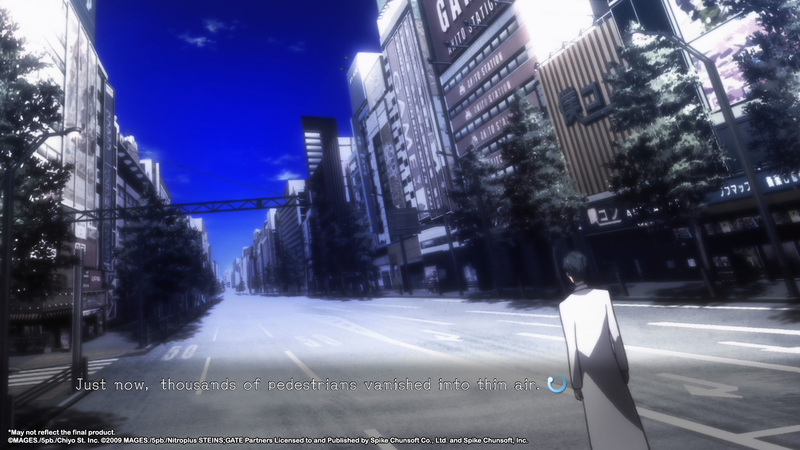 Via press release, Spike Chunsoft confirmed that people who get Steins;Gate Elite on PlayStation 4 and PC will get a new, HD update of Steins’Gate: Linear Bounded Phenogram. This is an anthology of 10 new stories from well-known writers, including Zero Escape‘s Kotaro Uchikoshi. Purchasing the game on Nintendo Switch comes with 8-Bit ADV Steins:Gate, which seems to be the full Steins;Gate story recreated with 8-bit visuals and sound.